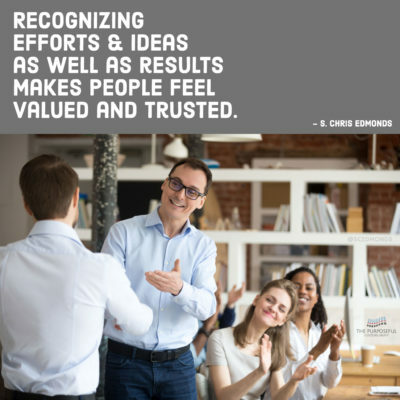 One of the executives I coach shared an article he’d read recently that described the benefits of praising people for effort – not for innate skills. This is not an unusual mindset for business leaders. Their exclusive focus is on results. Praising results makes sense (though most leaders don’t do enough of that). The benefit of praising efforts and ideas is that it makes people feel valued and trusted. When people feel valued and trusted, they invest time and energy in solving problems at work, creating new ways to get things done, and more, increasing their contributions to the organization’s strategies and goals. If leaders only praise accomplishments, they miss the opportunity to create greater engagement and deeper commitment by their team members in the organization’s success! TinyPulse’s 2019 Employee Engagement Report provides powerful insights into the importance of recognition. They found that high performers are 15% more valued by their organization than low performers are. However, the study also found that high performers rated the recognition they receive as only 2% higher than the recognition low performers receive. The good news is that this study of over 200,000 respondents found that high performers do feel valued by their leaders and companies. The bad news – they’re recognized just slightly more often than low performers. In fact, less than one third of respondents had received ANY recognition in the past two weeks. One third also reported they were not recognized the last time they went “above and beyond” at work. In today’s three-minute episode of my Culture Leadership Charge video series, I share a simple, effective two-step process for ensuring leaders recognize good things happening on their team. This is episode sixty-two of my Culture Leadership Charge series. 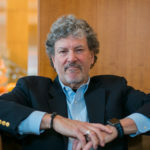 Each episode is a short (two-to-three-minute) video that describes proven culture leadership and servant leadership practices that boost engagement, service, and results across your work teams, departments, regions, companies – and even homes and neighborhoods. How well do your company’s leaders recognize efforts and ideas as well as results? Share your insights or questions on Twitter, Facebook, and LinkedIn.